McALLEN — June will mark a year since rain storms tore through the Rio Grande Valley, damaging tens of thousands of homes and businesses, including some 2,800 in McAllen. 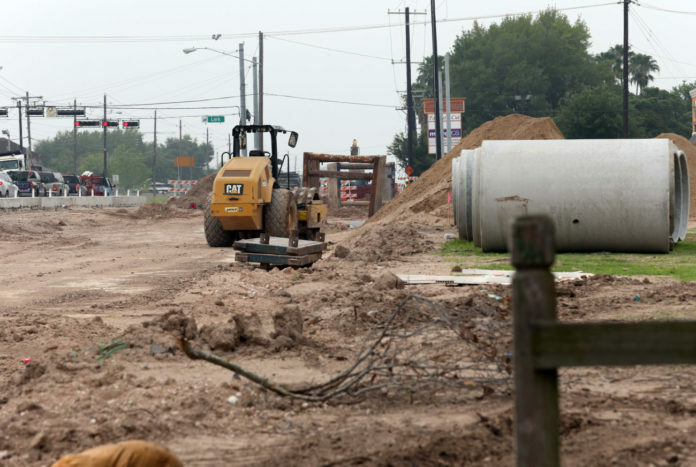 On Friday, the city began construction on just one of 66 drainage projects city officials have identified across the city, totaling a $48 million drainage master plan pulling from various different funding sources. This $2.4 million project, 75% of which will be reimbursed by a federal grant, was identified by city officials as the most critical of the drainage projects. With construction beginning on Friday, City Engineer Yvette Barrera said the contractor building the project has set a completion date for September. Until then, the several hundred homes in this 50-year-old Westway Heights neighborhood off Bicentennial Boulevard, just north of McAllen High School and south of Nolana Avenue, will have to brace for any possible storms. “Every time it rains, I just cringe at the fact that an inch of rain impacts this area,” City Manager Roel “Roy” Rodriguez said at a ceremony celebrating the project that took place on the edge of the three soccer fields on Daffodil Avenue next to Bicentennial Boulevard. The application for the grant that’s funding a large part of the project became available once an emergency was declared for this area after the June storms. While the city had already mapped out dozens of drainage projects before the storms last year, the emergency declaration offered other funding options. The city applied for four different drainage project grants through the specific emergency grant, and all four were approved. 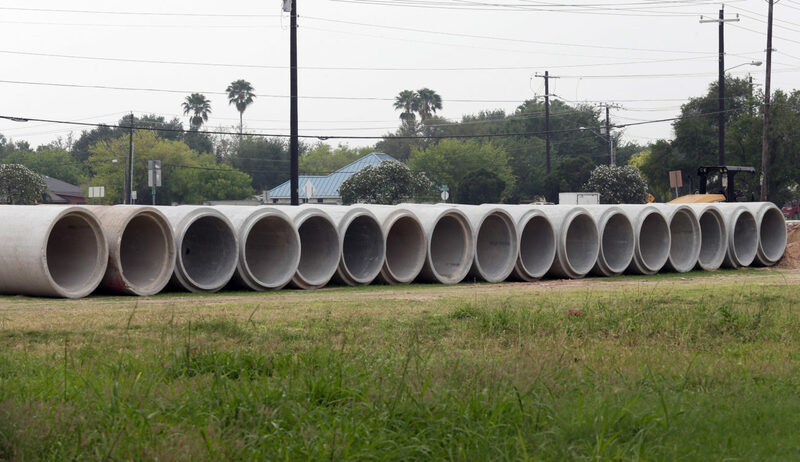 This funding augments other funding sources for the projects across the city, including $22 million for 23 drainage projects that McAllen voters approved in a bond election last year and a drainage utility fee that varies per residence depending on the size of the property. City officials conducted a citizen survey in 2015 and the top priority for residents was drainage, hence the city’s emphasis on various drainage projects. “We realized, like many cities in the Rio Grande Valley, that we had some deficiencies,” Rodriguez said. City politics were not lost on Friday’s event, which featured two city commissioners, including District 5 Commissioner John Ingram, who is up for re-election on May 4 and whose district this project falls in. Ingram is facing challenges from Victor “Seby” Haddad, a banker and a businessman, and Mark Murray, a South Texas College professor. Ingram spoke briefly, as commissioners typically do during events in their district. Afterward, he was interviewed by a local television station. Ingram’s two opponents stood in the distance, observing the interview.